Halong Bay, recognized as UNESCO World Heritage Site, is one of the most favorite tourist attractions in Vietnam. It is famous for thousands of limestone islets with different shape raising up from the immensely blue water. 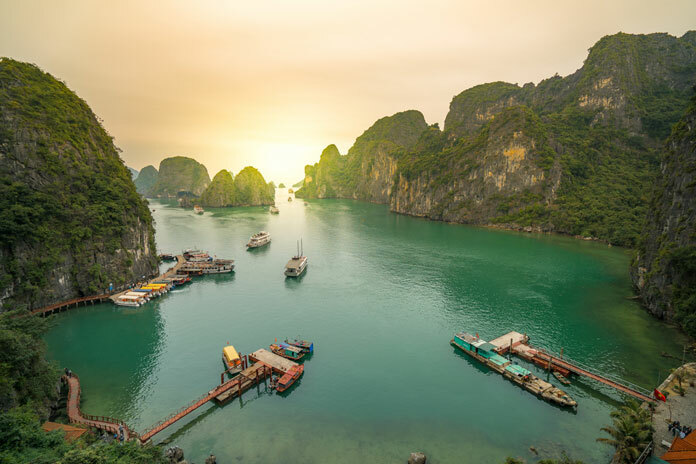 Visiting this beautiful site must be on the bucket list of almost every traveler to Vietnam. 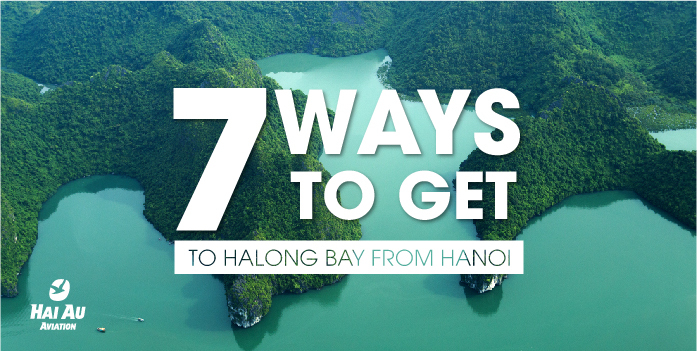 One of their biggest concerns to be known is how to travel from Hanoi to Halong Bay. Therefore, for anyone who is still confused about which means of transports to choose, this article will give you all information that you need. Halong Bay is located in the northeast of Vietnam, right at the heart of the Gulf of Tonkin. It belongs to Quang Ninh province. Halong Bay is about 180 km away from the capital of Hanoi. This is neither too far nor too short distance. With its charming beauty, Halong Bay has been a popular tourist attraction with local people for a long time. After the recognition of UNESCO, Halong Bay became globally well-known and an international tourism hot spot. Consequently, tourism development is considered as one of the provincial priorities. To meet the increasing number of tourists’ demands to travel from Hanoi to Halong Bay, the traffic has been upgraded in the recent years. It makes the journey by land transport much shorter and more comfortable. This is the reason why tourists choose these vehicles beside the fact that they are popular and inexpensive. However, they are not the same. Each means of transport will give you its own typical experience which you can find out below.